Just in time for a particularly spooky Halloween season, Starbucks has announced its latest limited edition drink blend. If you’re over your trick-or-treating days, but still have a sweet tooth, you will love the Starbucks Witch’s Brew Frappuccino, which blends swirls of color with unexpectedly sugary treats. 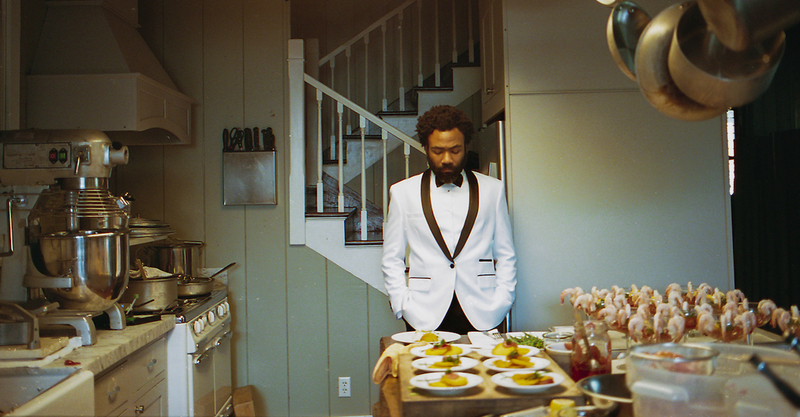 Um, hold on a second. Are we indulging in sweets here, or quite literally casting up a spell with a witch’s potion? 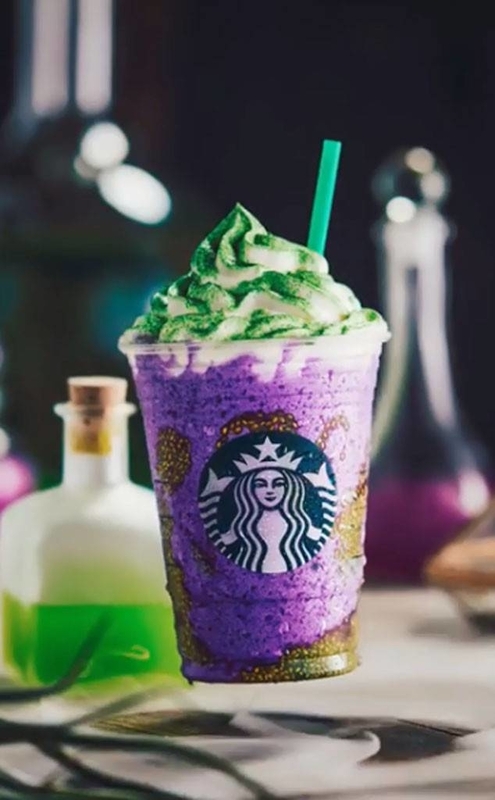 The base of this drink is a vibrant purple ingredient called “toad’s breath,” but it’s actually the flavoring of an orange crème Frappuccino. Those creepy green “bat warts” are actually colored chia seeds blended into the mix. Atop each Instagram-ready drink is your standard vanilla whipped cream, with and a topping of matching green “lizard scale” powder for special effect. You know what we’re going to say: before you even so much as take a sip, get your camera ready to snap every angle of this photogenic drink for your ‘gram! 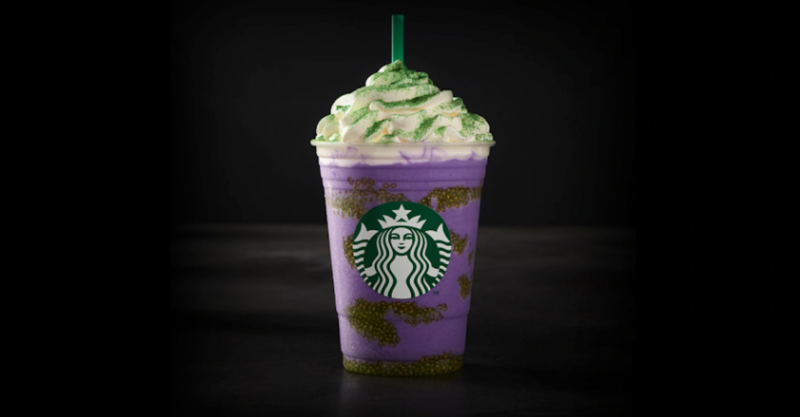 The Starbucks Witch’s Brew Frappuccino is now available – but only for a limited time at locations across the U.S., Canada, Mexico, with some stores in the Caribbean. Will you be trying out this tasty treat for Halloween this October? More drink news from Starbucks. More special edition buys for Halloween 2018.